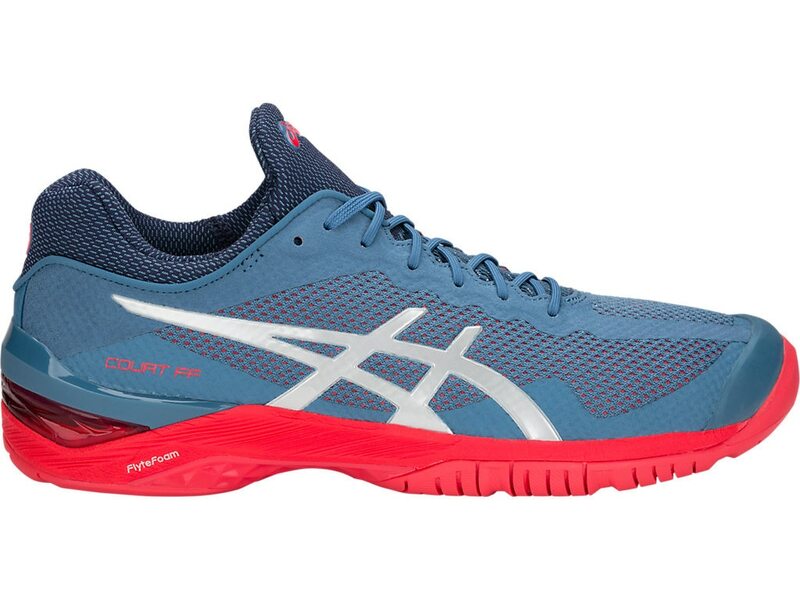 Our GEL-COURT FF shoe features our revolutionary FlyteFoam technology for lightweight comfort, cushioning, and explosive, sure-footed response. The Mono-Sock system and seamless mesh upper promote premium stability and airflow, while the PGuard toe piece provides durability. All in all, a high-performing shoe that lets you stop, turn and SPRINT quickly, so you can bring your """"A"""" game every time you hit the court.